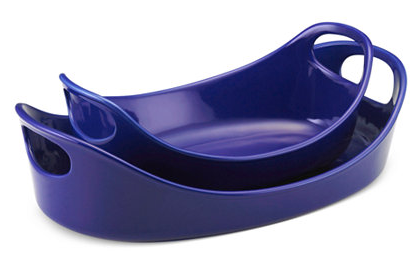 Rachael Ray Stoneware Baking Dishes Set of 2 Only $28.75! Was $100! You are here: Home / Great Deals / Amazon Deals / Rachael Ray Stoneware Baking Dishes Set of 2 Only $28.75! Was $100! 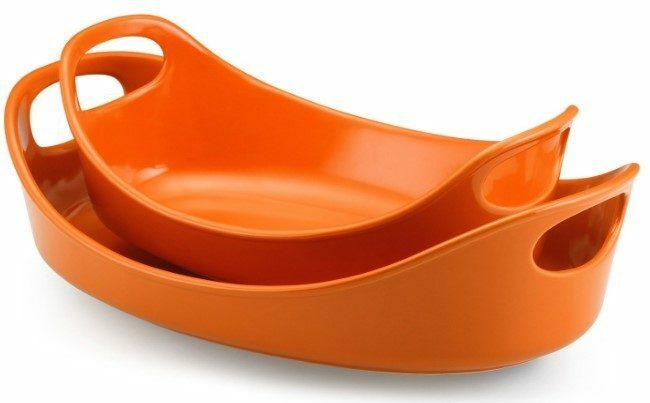 You can get these Rachael Ray Stoneware Set of 2 Bubble & Brown Baking Dishes on sale for $28.75 (Reg. $100.00)! They have them in many other colors for $30! Up your serve. Including 2 oval baking dishes, this set dresses up your setting with color & quick charm. Each versatile dish moves effortlessly through prep into presentation with a quick-heating stoneware construction & extra wide handles for a confident grip.